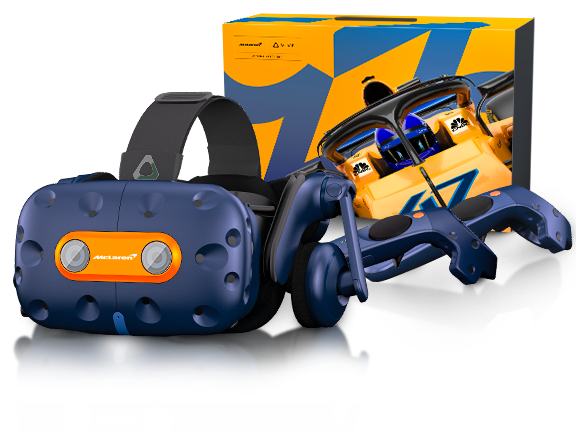 HTC Vive and McLaren Racing have announced the release of a special edition VIVE Pro McLaren Limited Edition headset. “Grand Prix auto racing attracts over 500 million fans globally, and we’re excited to partner with McLaren to bring a unique perspective to race fans through VR,” said Alvin Wang Graylin, China President, HTC. The headset will be paired with the new ‘McLaren Garage VR’ experience as well as a custom version of ‘RFactor 2’ McLaren Edition VR racing that was designed to operate without any additional driving accessories. “It’s been brilliant to tap into HTC’s technology and work together closely to create this top of the range headset and VR experience, so fans can feel like they are in the heart of the action, at a racetrack with the McLaren Racing team,” said Zak Brown, CEO, McLaren Racing. The Vive Pro McLaren Limited Edition headset will also include a free six-month subscription on VIVEPORT, where users can exclusively download the McLaren Garage VR experience and customised RFactor2 McLaren Edition racing game. The Vive Pro McLaren Limited Edition headset is now available for $2499, from www.vive.com/McLaren. MWC 2019: HTC's 5G Hub to be "Australia's first 5G mobile device"